Gordon Stanley was the inaugural Pearson Professor and Director of the Oxford University Centre for Educational Assessment (OUCEA) from April 2008 until he retired from the position in September 2010. He is now is a Senior Research Fellow at Oxford University, associated with OUCEA, and an Honorary Professor at the University of Sydney. 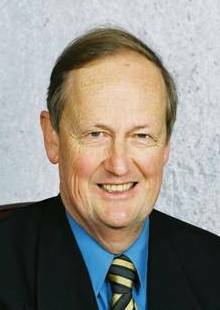 Prior to leading OUCEA, Gordon was President of the Board of Studies in New South Wales in Australia from 1998-2008. In this role he was responsible for curriculum and assessment for schools K-12, the registration and accreditation of non-government schools and for overseeing the development of standards-referenced reporting in public examinations. During this period major reform to school curriculum and assessment occurred including the closer integration of vocational education and training into the senior curriculum. Current research includes issues around the measurement, comparison and validation of standards at all levels of education from compulsory through to post-compulsory, including vocational education and training and higher education; the role of assessment in education system reform; technological solutions to assessment. Baird, J., Béguin, A., Black, P., Pollitt, A. & Stanley, G. (2011) The Reliability Programme: Final Report of the Technical Advisory Group. Coventry: Ofqual/11/4825. Stanley, G. (2011) Secondary school external examination systems, Assessment in Education: Principles, Policy & Practice, 18, 1–3. Stanley, G. & Lee J.C. (2011) Future Educational Reform Policies and Measures. In J.C. Lee & B. Caldwell (Eds) Changing Schools in a world of globalization. London: Routledge. MacCann, R.G. & Stanley, G. (2010) Classification consistency when scores are converted to grades: examination marks versus moderated school assessments, Assessment in Education, Principles, Policy & Practice, 17 (3), 255-272. MacCann, R.G. & Stanley, G. (2010) Extending participation in standard setting: an online judging proposal, Educational Assessment, Evaluation and Accountability, 22, 139-157. Stanley, G. & MacCann, R.G. (2009) Incorporating industry specific training into school education: enrolment and performance trends in a senior secondary system, Journal of Vocational Education and Training, 61, 459-466. MacCann, R.G. & Stanley, G. (2009) Item banking with embedded standards, Practical Assessment Research & Evaluation, 14 (17). Stanley, G., MacCann, R., Gardner, J., Reynolds, L. & Wild, I. (2009) Review of Teacher Assessment: Evidence of What Works Best and Issues for Development. Report on QCA Contract 2686. Stanley, G. & Tognolini, J. (2008) Performance with respect to standards in public examinations. Proceedings of the 34th IAEA Conference, Cambridge, UK. Stanley, G. (2007) Education for work: the current dilemma of post-compulsory education, Australian Educational Researcher, 34 (3), 91-99. Tognolini, J. & Stanley, G. (2007) Standards-based assessment: a tool and means to the development of human capital and capacity building in education, Australian Journal of Education, 51 (2), 129-145. Stanley, G. & Crump, S. (2006) Integrating VET into the senior school: research pathways on linear and non-linear pathways as an incomplete policy objective. Refereed Proceedings of AARE Conference 2005. MacCann, R.G. & Stanley, G. (2006) The use of Rasch modelling to improve standards setting, Practical Assessment Research & Evaluation. Stanley, G. (2005) Post-reform trends in the New South Wales Higher School Certificate, New Horizons in Education, 52, 98-108. Crump, S. & Stanley, G. (2005) The development of vocational education and training in a senior secondary certificate of education, Journal of Vocational Education and Training, 57 (2), 127-148. Stanley, G. & MacCann, R.G. (2005) Removing incentives for ‘Dumbing Down’ through curriculum re-structure and additional study time, Education Policy Analysis Archives. MacCann, R.G. & Stanley, G. (2004) Estimating the standard error of the judging in a modified-Angoff standards setting procedure, Practical Assessment Research & Evaluation.